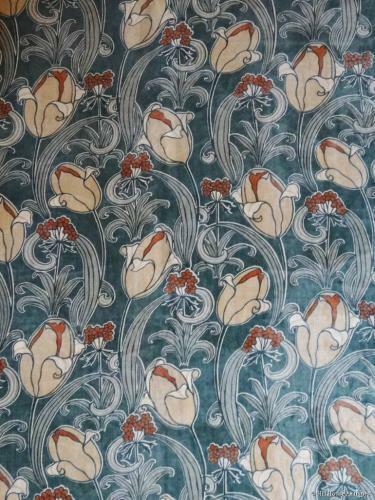 A superb length of velveteen textile panel of stylised "Tulips". Design strongly attributed to John Illingworth Kay for the Silver Studio. Shows influence of both CFA Voysey and Lindsay Butterfield.